Here's my story...I've been playing for the better part of 15 years and recently had to part with much of my gear to pay some hospital bills. Anyway, I recently purchased a lightly used 2009 D10SCE. When it arrived the stings on it were absolutely filthy (I'm guessing they were stock.) 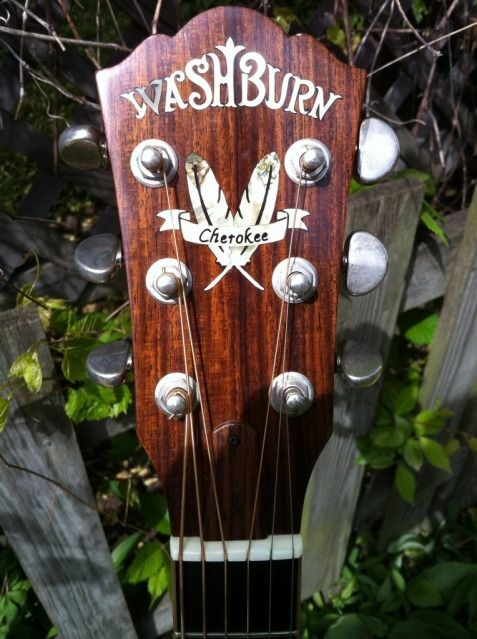 But when I strummed it the guitar sounded warm and punchy with that woody sound. I couldn't wait to string it up with some new ones. I put some Martin SP's on and it became brassy, tin-y and way to harsh. All I did was polish the guitar and change the strings. I've since gone through many different makes and types of strings trying to find that original sound, so I guess I'm just asking what kind of strings everyone uses to bring out the best in the D10... and any suggestions people might have. Thanks! If they're the stock strings, they're most likely Vinci strings. I've tried a couple of sets and am not impressed with them. They were already tarnished coming out of the package. I'm a fan of D'Addario EXP's. I use 12's on all my acoustics and am very pleased with them. Elixer Nano's are OK too and the trusty, old D'Addario EJ 16's for an uncoated string are usually a good choice as well. your experience is why some folks, Jeff Tweedy for instance, only play what the rest of us would consider dead old tired strings. Won't play an acoustic until the things are beat. IT's all about the sound. I've played EJ 16's for years, recently tried some SP's (deal at a local shop..3 packs of strings, a Martin coffee mug and a bottle of Martin spray cleaner with a micro cloth for 10 bucks!) on one guitar and liked them alot....really amazing how much variety there is. But it all comes down to you man, blue or green, what's your preference? I should mention I don't own a D10. Hi I just purchased a D10scedl and put some John Pearse and they sound great. The John Pearse seem to be my favorites. Thanks for the help! I'll have to tinker around some more. I use Martin Marquis light gauge and love them (12's). Any new string will sound very bright until broken in, but thinner strings sound a bit more tinny IMO. The Martin extra light SP's are that way on my old Silvertone. I'm using the 12's next time around. You might want to try 13's. 12's). Any new string will sound very bright until broken in, but thinner strings sound a bit more tinny IMO. I use Martin SP+ strings on my D10SCE and, after they've had a few plays to settle down, I just love 'em. David Bromberg used to say he didn't like the way strings sounded either until they had been on a guitar for awhile. I prefer the sound of new strings myself on guitar. But on my violins I hate the sound until they are a month old at least. For me guitar strings get changed about once a week, violin strings about every three or so months. It is an interesting paradox because you take a $2500 instrument and then the quality of sound rides on $8 to $10 worth of strings. I avoid what I call Chinese beer can strings but otherwise strings are such a personal choice. Martin SP (I like 4100 Phosphur Bronz .10-.52), D'Addario, ALchemy, Pearse are all good strings (and some players lke Gibson strings. Taylor's come with Elixir (which are great). Lots of opinions about 80/20 versus PB. I do not meet many people who like medium or heavy strings. They change the tension (bend your neck) All kinds of OPINIONS too about saddle and nut materials (bone-ivory-polymer-plastic). Any ONE of those things change tone -- for good or for worse. You just have to screw with it. (and unfortunately NO TWO guitars are the same) and no two players. But one day you realize you have found a set of strings that you like and your fingers like and your wallet likes and life is good. You get kind of latched on to that set of strings. Realize it is strictly a persoanal preference. Good job of telling it like it is.